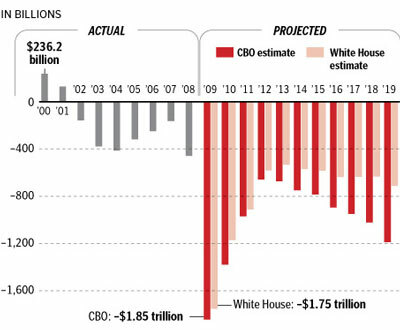 In 2009 the Obama Administration estimated that the US deficit would decrease from $1.75 trillion to a more manageable $600 billion in three years. 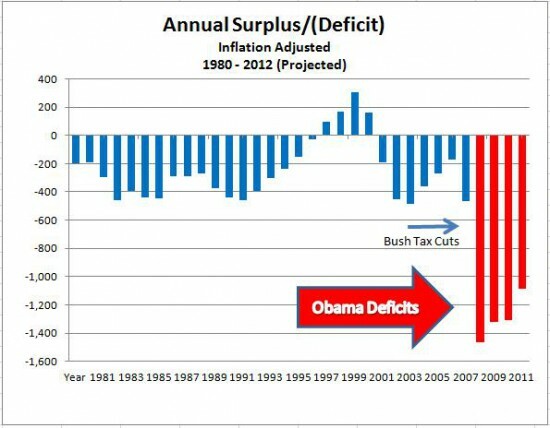 But then the Obama stimulus failed and deficits blew through the roof. In fact this year will be the fourth year in a row that the US deficit will top $1.1 trillion.